The men's competition, from October 18 to November 15, will feature several qualifying matches before hosts Australia take on world's top-ranked Pakistan in the first match of the tournament-proper on October 24 under lights at the Sydney Cricket Ground. Former champions India will square off against South Africa in their opening match of the men’s T20 World Cup to be held in Australia next year, the International Cricket Council (ICC) announced on Tuesday. India’s opening match will take place in Perth on October 24 while the tournament will get underway from October 18 with qualifying rounds in South Geelong, according to the fixtures. India, who lost in the semifinals to eventual winners West Indies in the previous edition in 2016, face a qualifying team in their next Super 12 match in Melbourne on October 29. India won the event’s inaugural edition in 2007. The men’s competition, from October 18 to November 15, will feature several qualifying matches before hosts Australia take on world’s top-ranked Pakistan in the first match of the tournament-proper on October 24 under lights at the Sydney Cricket Ground. ICC Chief Executive David Richardson said: “Whenever we host an event in Australia we know we can guarantee the one billion cricket fans around the world a great show. “The world’s best players. Outstanding venues. Noisy, passionate, knowledgeable fans. Exciting cricket. This is the perfect combination for a T20 World Cup and in 2020 we go one step further with two T20 World Cups in one year.” Defending champions West Indies play their first Super 12 group stage match against New Zealand on October 25 in Melbourne. Australia, Pakistan, the West Indies, New Zealand and two qualifiers make up Group 1 of the Super 12 stage. India, England, South Africa and Afghanistan and two qualifiers make up the other group. The first semi-final will take place at the SCG on November 11, with Adelaide Oval hosting the second semi-final the following night. The final will be played at the MCG on November 15. The tournament will be held in eight Australian cities and 13 venues. 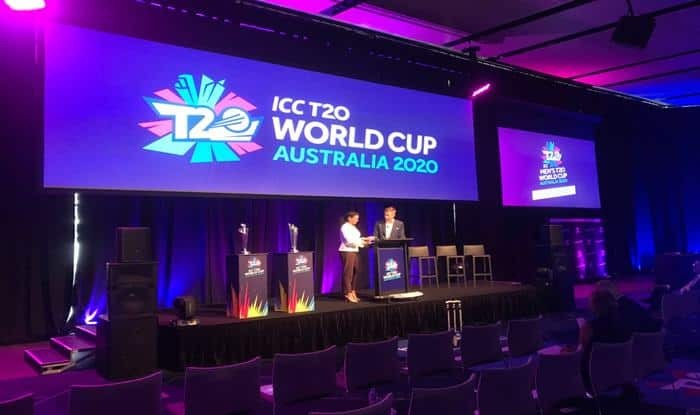 ICC T20 World Cup Australia 2020 Local Organising Committee CEO Nick Hockley said: “We’re so excited to be able to let fans all around Australia and the world know when and where their teams will play, so they can start planning now. Final: 15 November, 2020 Melbourne Cricket Ground, Melbourne.